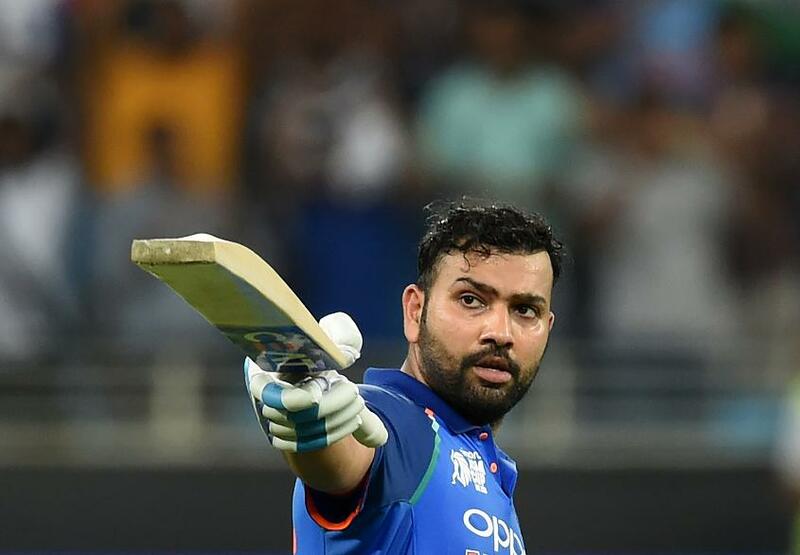 Shikhar Dhawan and Rohit Sharma were in merciless form as India romped to a nine-wicket win over Pakistan in the Super Four phase of the Asia Cup in Dubai. It was the first occasion that India had beaten Pakistan by that margin of victory in ODI history, subjecting their arch-rivals to a chastening defeat for the second time in the space of five days and confirming their place in the final. Set 238 for victory, Dhawan (114 off 100) and Sharma (111* off 119) each hit imperious centuries as India reached their target with 63 balls to spare, but Pakistan coach Mickey Arthur will feel that his side played a part in their own demise. Sharma was dropped twice in the first six overs – the first a tough chance at point off Mohammad Amir put down by Shadab Khan in the very first over, and the second a much simpler opportunity shelled by Imam-ul-Haq at cover off Shaheen Afridi – and from there he and his opening partner rarely looked troubled against a wilting Pakistan attack. Amir had a day he will want to forget in a hurry, conceding 41 runs from five overs and extending his wicketless run in ODIs to four matches. Dhawan was the main aggressor, hitting 16 fours and two sixes to bring up his 15th ODI century as he and Sharma shared a record opening stand for India against Pakistan of 210. It took a run out to finally break the partnership, Shoaib Malik making the most of a mix up to send Dhawan on his way, but by then the damage had already been done. Rohit Sharma reached his own century soon after – his 19th in ODIs – to continue his good recent form. Ahead of the match, Indian great Sunil Gavaskar had highlighted how impressive he thought Sharma's captaincy has been in this tournament while deputising for the rested Virat Kohli, and the extra responsibility also appears to be having a positive effect on his batting. Sharma saw the match through to its conclusion, as Ambati Rayudu (12*) knocked off the winning runs. Pakistan's total of 237/7 always looked below par after they had won the toss and elected to bat, but it could have been even worse were it not for a fourth-wicket stand of 107 between Shoaib Malik (78 off 90) and captain Sarfraz Ahmed (44 off 66). 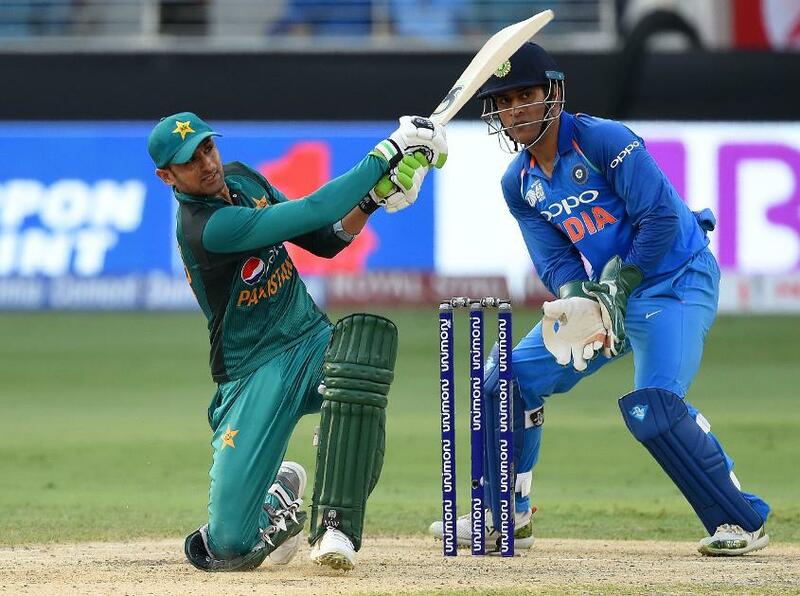 Some disciplined Indian bowling had reduced Pakistan to 58/3 after the leg-spinner Yuzvendra Chahal (2/46) trapped Imam (10) lbw and the dangerous Fakhar Zaman (31 off 44) and Babar Azam (9) had fallen in quick succession – the former lbw to Kuldeep Yadav's left-arm wrist-spin and the latter to a run out after a poor call from his skipper. Shoaib and Sarfraz rebuilt steadily before starting to play more expansively and putting their side on course for a score in excess of 250. The runs continued to flow after Sarfraz became Kuldeep's second victim, the spinner eventually finishing with figures of 2/41, as Asif Ali bifffed 30 from 21 deliveries including two sixes. 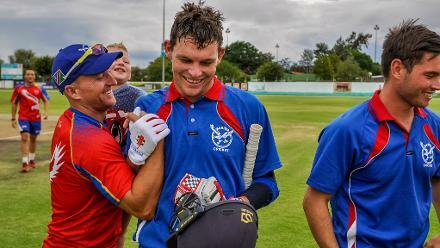 However, his dismissal – bowled by Chahal who notched his 50th ODI wicket – and the loss of Shoaib – edging behind off the superb Jasprit Bumrah (2/29) – saw the innings stall. 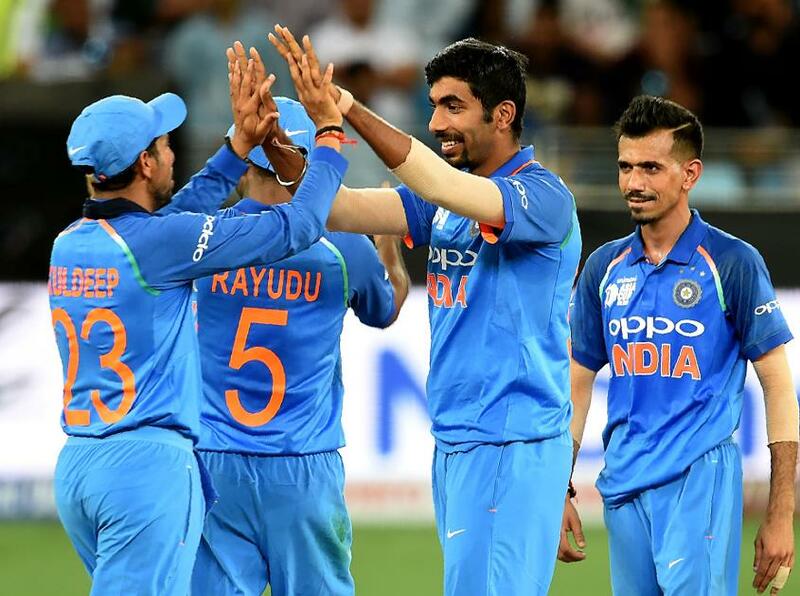 There is perhaps no more effective bowler at the death at present than Bumrah and the right-arm quick showed off his full array of skills, including that trademark yorker, to keep Pakistan in check, as they were only able to add 26 runs in the final five overs. As Dhawan and Sharma set to work after the break, the target was made to look very modest indeed. Despite the defeat, Pakistan will still qualify for the final if India beat Afghanistan on Tuesday and they defeat Bangladesh the following day.